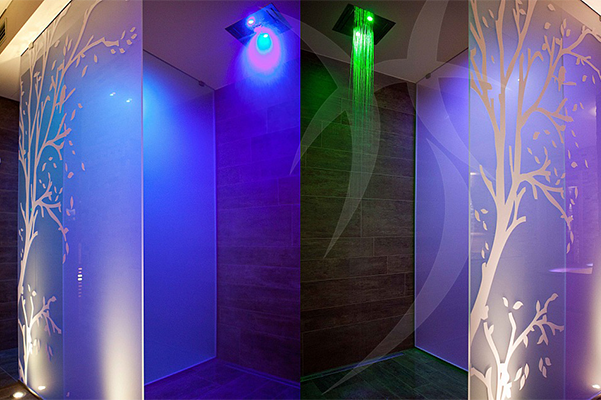 Multi sensors showers are special hydrotherapy systems that combine the toning and stimulation of multi-sensory treatments, using different color water jets. 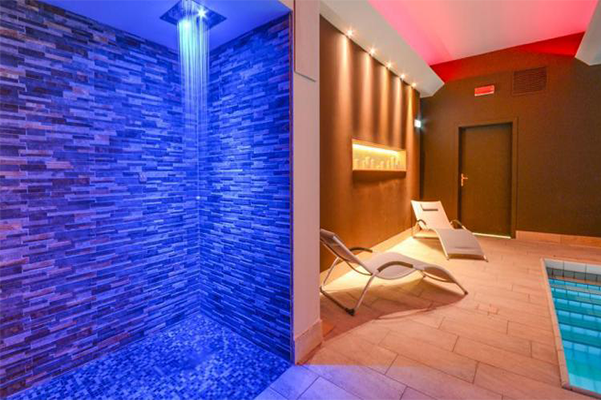 According to Chromotherapy treatment, colors help the body and mind to restore their natural balance and also have physical and psychological effects that are able to stimulate the body and soothe the mental side. The basic principle is alternating water jets. This alternative consists not only in changing the temperature of the water, hot and cold, but also its pressure. The simultaneous change of colors and aromas creates an atmosphere and sensation which is in harmony with the movement of water. So, you can experience different sensations and benefits. A low temperature tends to harden the tissue (with positive effects on the feet and abdomen), while the heat will have a natural effect, cleansing the surface but also penetrating the epidermis. What does an Emotional Shower do? An emotional bath is a small space that offers many functions. It provides an unique and unrepeatable sense of pleasure, which stems from water, a vital, entertaining and effective element. 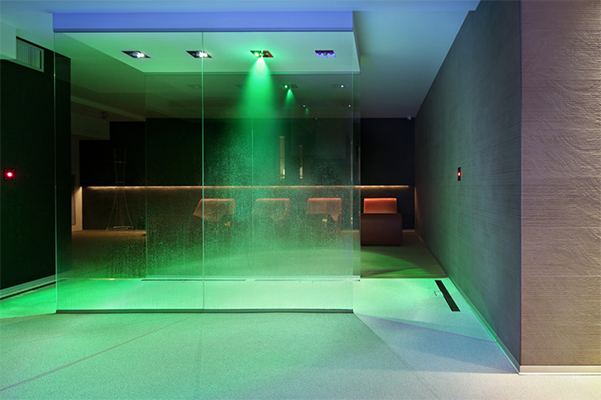 An emotional bath with “steam in water” activates the 5 senses, through the colors, winds and sounds that overlap and wrap around the body, introducing a strong vitality. Colortherapy is considered part of the so-called “alternative medicine”, using colors as a therapy for treating diseases. All of these are achieved through jets placed on the ceiling and walls, which are combined to work in warm and cold temperatures. 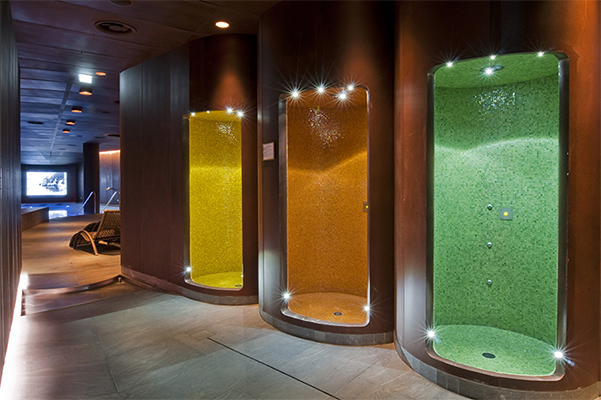 HAVING THE EMOTIONAL SHOWERS IN HOTELS & RESORTS, IT RAISES THE VALUES OF YOUR SPACES.